If Tiger Pataudi and Chandu Borde were the prominent leaders in the 1960s, my fellow Mumbaiites (and neighbours) Ajit Wadekar and Sunil Gavaskar were the talk of the country for their captaincy skills in the 1970s. I had the privilege to play under both for India, West Zone and Mumbai. Ajit, a superb left-handed batsman and magnificent fielder, is one of India's most successful captains of all time. His feat of winning two successive Test series on foreign soil in 1971 is yet to be equalled, let alone surpassed, by an Indian captain. India, under him, first beat the West Indies and later England on their own pitches. Several people have called Ajit a 'lucky' captain. Lucky, he certainly was, but then, fortune is known to favour the brave. 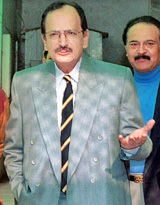 He possessed tremendous cricketing acumen, and was a good reader of the game. Unlike Tiger who sometimes made things happen, Ajit kept his opponents on a tight leash and then let things take their own course. Although he rarely gave the impression of wanting to seize the initiative, he always had his grip on the pulse of the game, and was adept at tightening the screws. He was cool, calm and assured, and passed on all these qualities to his teammates. He handled the players well and very professionally. I suppose his work experience as a Bank Manager helped him in this regard. He got the best out of his players on the field and his subordinates off it! I was a member of the 'teams' that won those two series in 1971. I say 'teams' because although the core was the same, there were a couple of changes between the tours. Never the demonstrative type, Ajit kept his feelings to himself on the field and utilized his resources to the optimum. We did not have any pace bowlers worth the name, yet we won two consecutive series overseas. Now how many times has this been done in Test history? We did it because Ajit used the four class spin bowlers in the team quite brilliantly. Ajit was in charge when a certain S.M. Gavaskar made his Test debut in 1971. And what a debut it was! 774 runs in his first four Tests, inclusive of three hundreds and a double hundred, established him as a great player and prospective India captain. 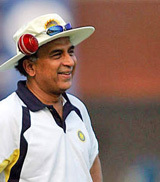 Gavaskar was a very good captain for his state, zone and country. He was criticized often for being too defensive, but it has to be remembered that Kapil Dev apart, the bowling attack that he had at his disposal was not very impressive. The great spinners had left the scene, or were on the decline by the time he acquired the captaincy. You need to take twenty wickets to win a Test, and Sunil was severely hampered in this aspect. So he opted to do the next best thing and concentrated on 'not losing'. He would go for a win only after negating the remotest possibility of defeat. One of Sunil's drawbacks, if one could call it that, was that he was a 'performing' captain. He was the premier batsman in the side and hence the onus was always on him to help the team reach a good score. After doing all the hard work with the bat, he had little energy to strategise and scheme. However, he did his best. Sunil's ambition and quest for perfection sometimes got the better of him. He was prone to losing his cool on the field. Although I don't endorse this trait in a captain, it worked for Sunil in that it helped him release his pent-up feelings and concentrate on the proceedings afresh. He did not talk much to the opposition, but he had deployed a couple of men to do the needful. These guys would stand at silly-point or forward short-leg and mutter the odd comment. Sunil was also a great one for 'punchlines', nothing abusive, but subtle 'observations' that would invariably hit bull's eye! So 'well-constructed' were they that there was no way the batting side could complain about being called something nasty. And yet they would feel the pinch! Like Ajit, Sunil was meticulous, shrewd, and used his resources well. He was an excellent communicator and motivator. I suppose it would be easy for all those who played with him to say after all these years that he could have been a better captain had he been a little less hungry for records. But then, it is very easy to express oneself with the benefit of hindsight.